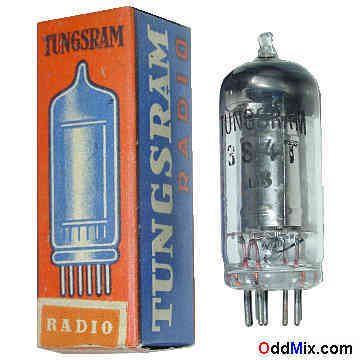 This is a genuine, vintage, collectiblediscontinued 3S4T Tungsram Power Pentode battery operated, discontinued, electron tube in it's original box. Developed for Class A amplifier use in receivers, transmitters and instruments. This exceptional tube is capable for full operation while using only 25 mA current from the filament battery! Useful for replacement, antique radio restoration projects, circuit research, experimentation or to set up a private vacuum tube museum. It is NOS tube - New Old Stock, unused, boxed, in mint condition. First come first serve, only one of this rare, discontinued, historical vacuum tube available!